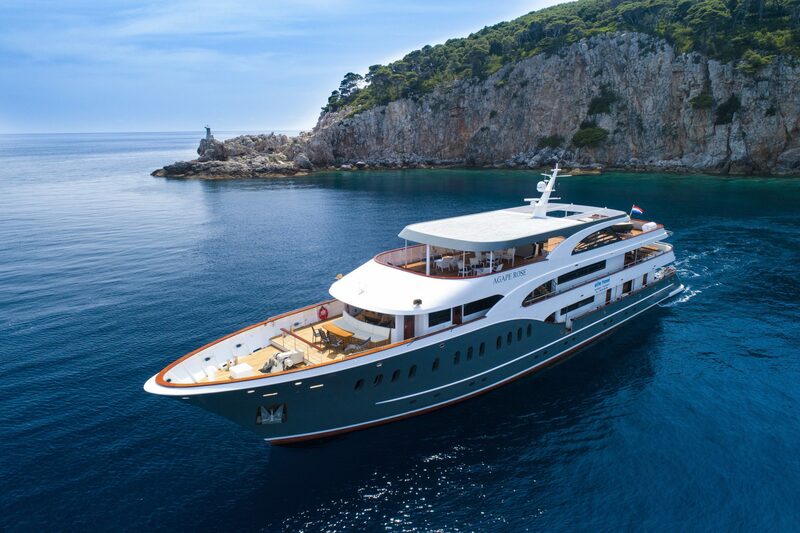 Tour of Italy, Slovenia, Croatia & Bosnia [2019 / 2020] Book Today! Over 14 nights and 15 days, you’ll visit four different countries, enjoy the local cuisine and learn about the intersting and long history of this part of Europe. You’ll be accompanied by a private driver and tour leader from start to finish. Stroll the romantic streets of centuries-old Venice and explore the St Mark’s Cathedral. Enjoy the local specialities and cross the Triple Bridge in one of the greenest cities in Europe – Ljubljana. Visit museums and galleries and take the funicular to the medieval Upper Town to hear the cannon fire at noon in Zagreb. Make unforgettable memories and take amazing photos at Plitvice Lakes National , Croatia’s most visited natural attraction! Listen to the sea organ in Zadar and explore local bars and restaurants. 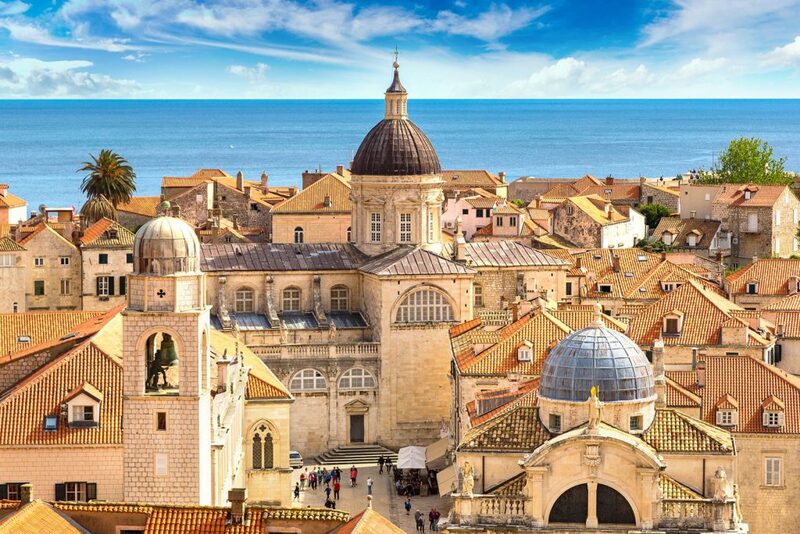 Explore the Diocletian’s palace in Split and climb the famous city walls in Dubrovnik, the pearl of the Adriatic! On your way from Split to Dubrovnik, stop in Mostar in Bosnia and Herzegovina to cross the UNESCO-protected Old Bridge and walk the Old Town. 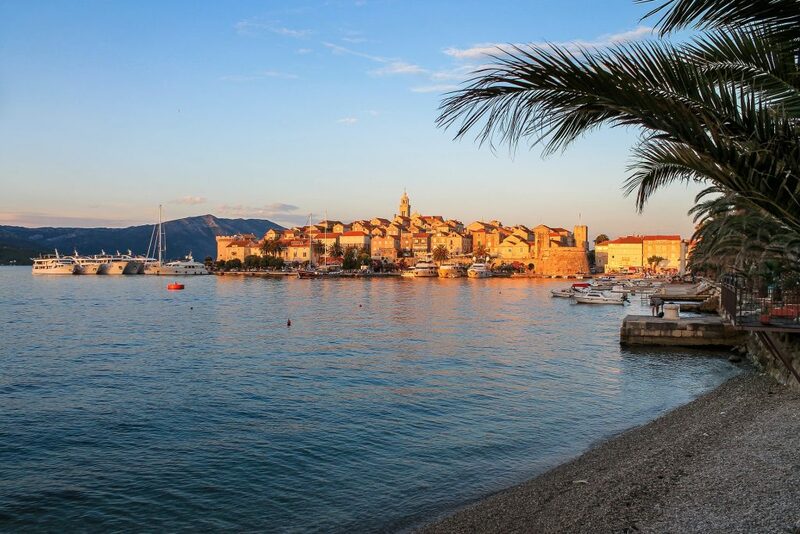 Travel stress-free on this escorted tour, mingle with the locals and experience the best of Italy, Slovenia, Croatia & Bosnia and Herzegovina. After the tour, enjoy the rest of the day in Venice, enjoying gondola ride or tasting delicious Italian food. Visit Bled Lake in Slovenia before heading to Ljubljana. Take a walk around the lake or you can even take a ride in a carriage. On your way, you’ll enjoy amazing views over the lake and the small island in the middle. A boat will take you to the island and the church situated on it. According to legend, the church bell was a gift from the Pope himself and dates back to the 16th century. Continue to Ljubljana in the afternoon. After the tour, explore Ljubljana at leisure. Arrival in Zagreb and check into your hotel. 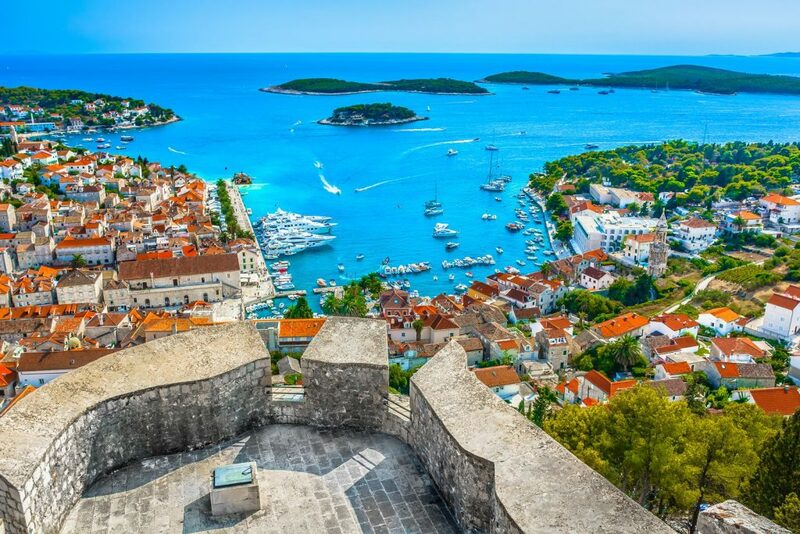 Today, we’ll organise a private transfer from your hotel in Zagreb to your hotel in Zadar, the Medieval city on Croatian coast, surrounded by UNESCO-protected Venetian walls. On your way, you’ll visit the Plitvice Lakes National Park. 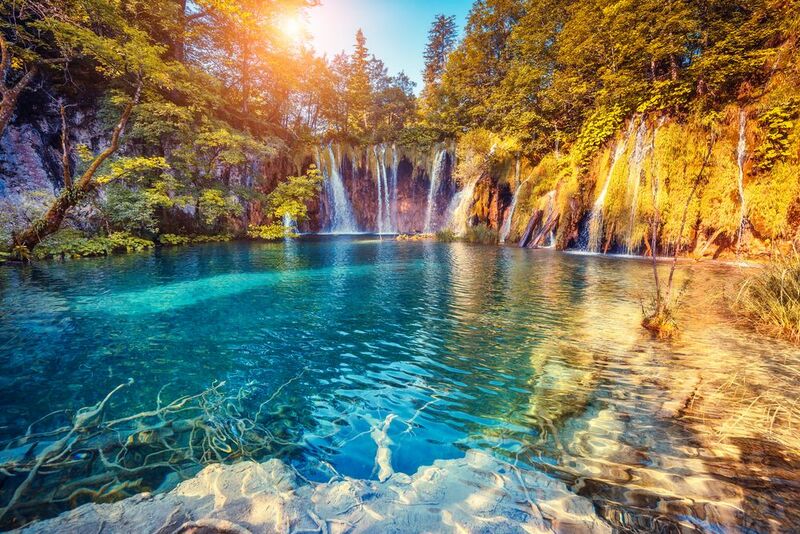 The popular Plitvice Lakes National Park is one of Croatia’s most visited attractions and day trip destinations. This UNESCO-protected National Park is situated in Gorski Kotar, the mountainous part of Croatia, only a 90-minute drive away from Zadar. Even if you’re not a huge nature lover, you’ll be amazed by the beauty of emerald lakes and spectacular waterfalls. Continue to Zadar in the afternoon. Arrival & check into your hotel. Free evening in Zadar. Today, we will organise a private guided walking tour of Zadar Old Town for you. Our guide will pick you up from your hotel in Zadar and take you on a guided tour of this beautiful Medieval town. Visit the Roman ruins, the remarkable pre-Romanesque church of St Donat and the popular sea organ. Learn about this Ancient city’s long history and its cultural significance. Breakfast & check out from your hotel in Zadar. Our driver will pick you up from your hotel in Zadar and drive you to your hotel in Split. Arrival in Split & check into your hotel. In the afternoon, we will organise a private walking guided tour of Split Old Town for you. Our guide will pick you up from your hotel. 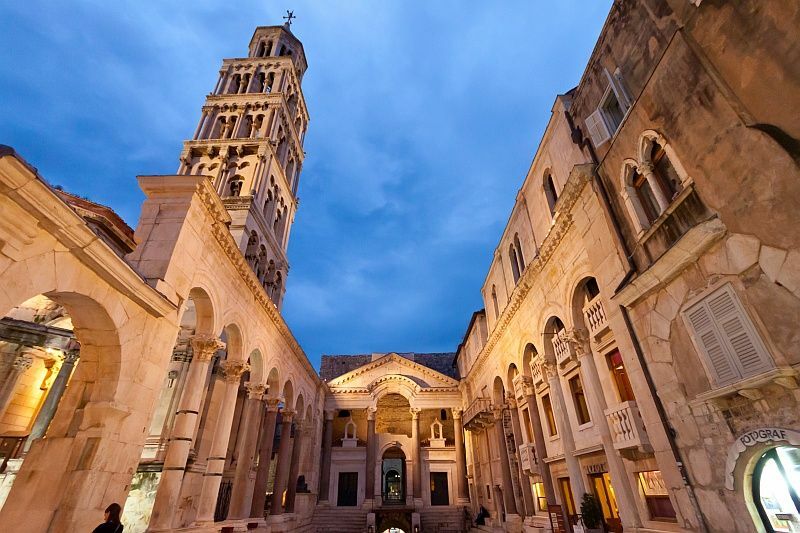 Explore the magnificent Diocletian’s Palace, learn about this city’s rich history and explore its main sights. Alternatively, we can organise additional day trips and activities for you (see the list below). 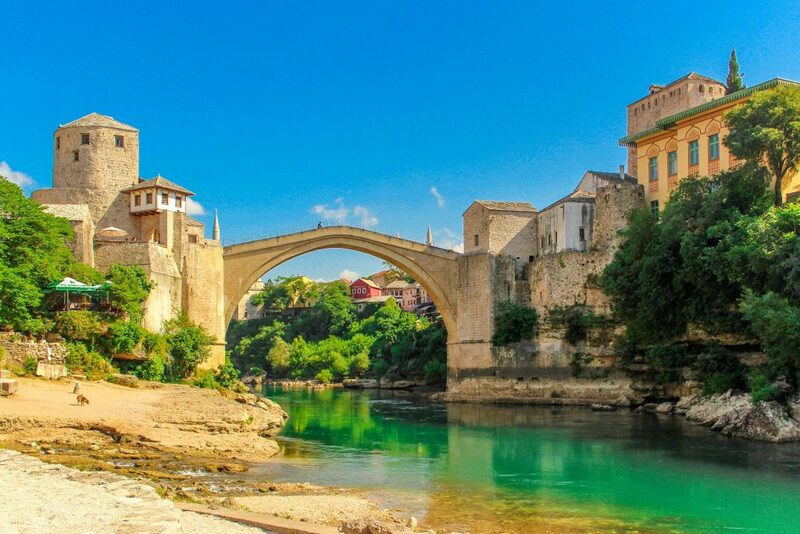 Today, your tour leader will pick you up from your hotel in Split and drive you to Mostar in Bosnia and Herzegovina for an exciting day trip. After Mostar, continue towards Dubrovnik in the south of Croatia. Visit the historic UNESCO-protected Old Bridge, explore Mostar Old Town, learn about this city’s complicated history and the deep-rooted divisions between its Catholic and Muslim communities. After the guided tour, stroll the streets of Mostar, walk down the Neretva river or try local specialities at one of the restaurants in the Old Town. Evening arrival in Dubrovnik & check into your hotel.